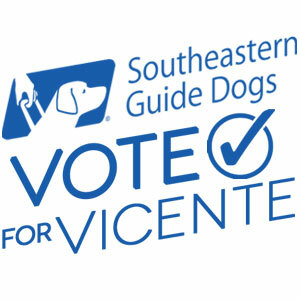 Corona Cigar Company Blog: Vote for Vicente | 100% of proceeds benefit Southeastern Guide Dogs! Vote for Vicente | 100% of proceeds benefit Southeastern Guide Dogs! Sponsored by generous businesses and hand painted by caring artists, over 90 larger-than-life dog and puppy sculptures are on display throughout our region. Browse the photos of each dog, view a map of sculpture locations, and cast votes for your favorite Southeastern Superheroes. Then take a closer look by visiting each sculpture around town. Your votes will help decide the three “top dogs” of Superheroes on Parade in each community of Sarasota, St. Petersburg, and Tampa. Your tax-deductible donation of $1 per vote is also a vote of confidence as 100% of the proceeds benefit Southeastern Guide Dogs! Click on any thumbnail below to see more, learn about the artist and sponsor, and to vote as often as you’d like before voting ends on September 29th!